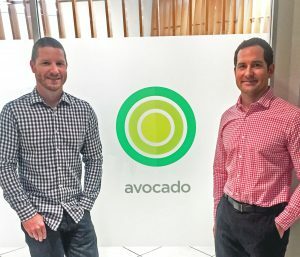 Avocado Consulting have been engaged by SWIFT, The Reserve Bank of Australia and Indue as part of the New Payments Platform (NPP) rollout. As the only consultancy providing services across three stakeholders, Avocado has an unrivalled level of NPP experience. Avocado’s expertise places them in a unique position to be able to service the upcoming Wave 2 participants. Avocado’s consultants underwent significant training as part of the engagements to deeply understand the ISO 20022 standard. This is the standard adopted across the NPP solution for the interchange of electronic data between financial institutions. Kevin Lugg, Indue’s Executive Director for Delivery, stated “Working with the Avocado/SWIFT team meant Indue had a partner that knew the NPP solution intimately. Avocado’s ability to work alongside Indue and advocate with other NPP participants ensured that Indue has delivered a first class, agency based, real time payment processing solution”. Chief Executive Officer, Gerardo Barranquero from Avocado stated: “SWIFT engaged with Avocado to deliver NPP Testing Services, considering our domain expertise and certification. We believe that our cooperation with SWIFT has placed us in a unique position to deliver high quality testing services to future NPP participants”. Barranquero went on to say: “There is a lot of talk about NPP. Avocado is not just talking about it, we are delivering results. When you engage our team, you’ll have consultants with the expertise and firsthand knowledge of how to successfully integrate with the NPP”. Established in 2004, Avocado Consulting is an Australian professional services consultancy providing business and IT services to some of Australia’s largest blue-chip companies and government departments. Specialising in quality assurance, application and platform development, project delivery, and operations monitoring, Avocado provides the expertise to ensure you deliver with certainty.